Maryland Film Festival (May 6-10 in downtown Baltimore) proudly announces our complete 2015 lineup today, unveiling our Closing Night film, the titles for our annual Opening Night Shorts Program, and a few late-breaking features. Our Thursday, Friday, Saturday and Sunday schedule grids are also now live and available for download on our website. Maryland Film Festival’s Closing Night film will be Crystal Moselle’s The Wolfpack, the mind-blowing buzz documentary that took home the U.S. 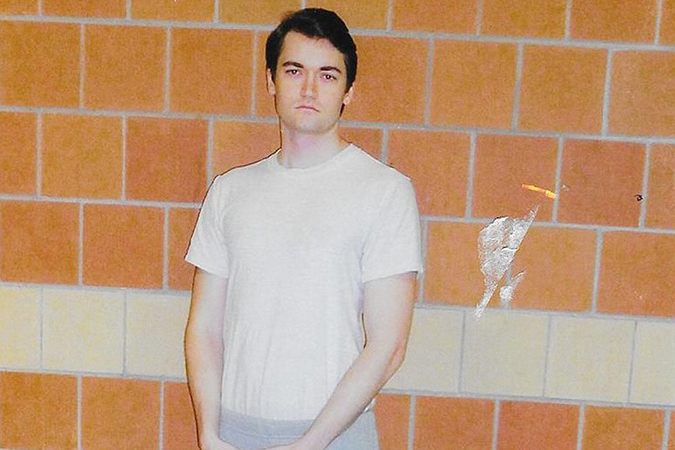 Documentary Grand Jury Prize at the 2015 Sundance Film Festival. MFF also announced 5 additional emerging features for its lineup, including new work from Joe Swanberg, Rick Alverson, and Andrew Bujalski; and two repertory screenings guest-curated by key figures in Baltimore’s cultural scene: musician Abdu Ali introducing Spike Lee’s Do The Right Thing, and Wham City’s Alan Resnick and Dina Kelberman introducing Paul Verhoeven’s Showgirls. Maryland Film Festival first devoted our Opening Night to celebrating shorts filmmakers in 2002, and we have done so each year since 2004. Opening Night will take place in the Maryland Institute College of Art’s Falvey Hall the evening ofWednesday, May 6th. Each Opening Night short will be hosted by its filmmaker. BAD BOY OF BOWLING (Bryan Storkel) From the co-director of Fight Church, a high-octane portrait of a bowling star with a plus-sized personality. CHARLOTTE (Angel Kristi Williams) A coming-of-age story from the director of MFF 2012’s The Christmas Tree, a Baltimore native. MELVILLE (James M. Johnston) A rapper struggling with personal pain finds release in music. Directed by the producer of Ain’t Them Bodies Saints. PINK GRAPEFRUIT (Michael Mohan) A couple sets up two friends for a romantic weekend. Winner of the narrative shorts jury award at SXSW. SHARE (Pippa Bianco) A young woman returns to high school after being shamed by an explicit video. Winner of a special jury prize at SXSW. 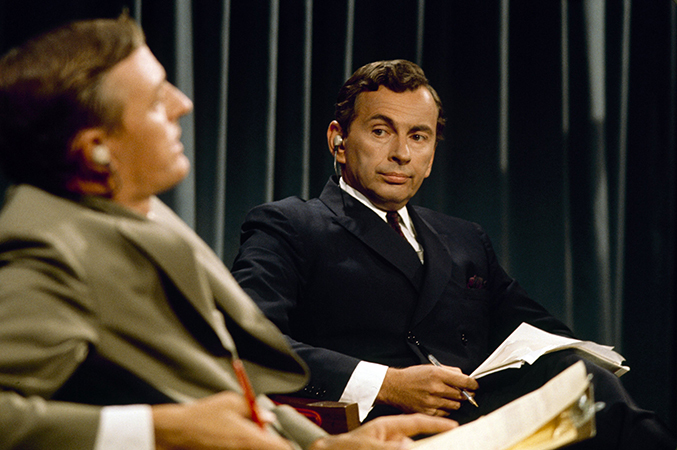 Best of Enemies (Robert Gordon, Morgan Neville) In 1968, a ratings-starved ABC coordinated a series of debates between conservative journalist William F. Buckley, Jr. and liberal novelist and thinker Gore Vidal. The network garnered huge audiences—and perhaps a bit more than they bargained for, as high-level political discourse collided with name-calling and meltdowns. This Sundance-premiered documentary comes courtesy of Twenty Feet From Stardom director Morgan Neville, and author/filmmaker Robert Gordon (of MFF 2012’s Very Extremely Dangerous). 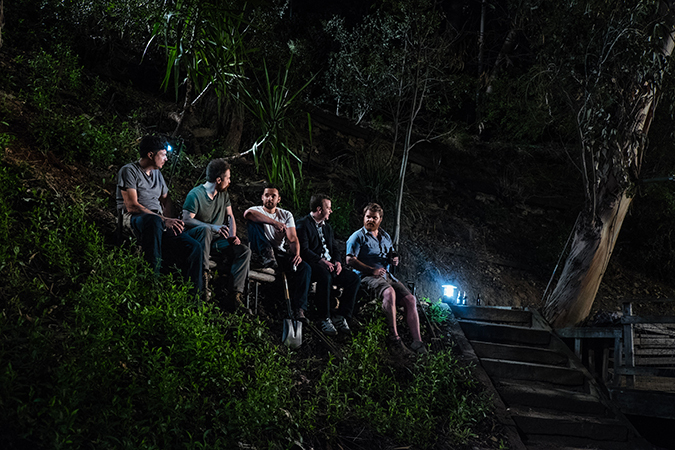 Digging For Fire (Joe Swanberg) When young parents Tim (Jake Johnson) and Lee (Rosemarie DeWitt) agree to house-sit for a wealthy acquaintance, Tim finds something suspicious on the grounds—and an initial spark of intrigue becomes a consuming obsession. Joe Swanberg continues to take his unique working methods to the next level, with an amazing cast that includes Orlando Bloom, Brie Larson, Sam Rockwell, Anna Kendrick, Jane Adams, Sam Elliott, and Mike Birbiglia, all working together to deliver an infectious mix of comedy, drama, romance, and thrills. 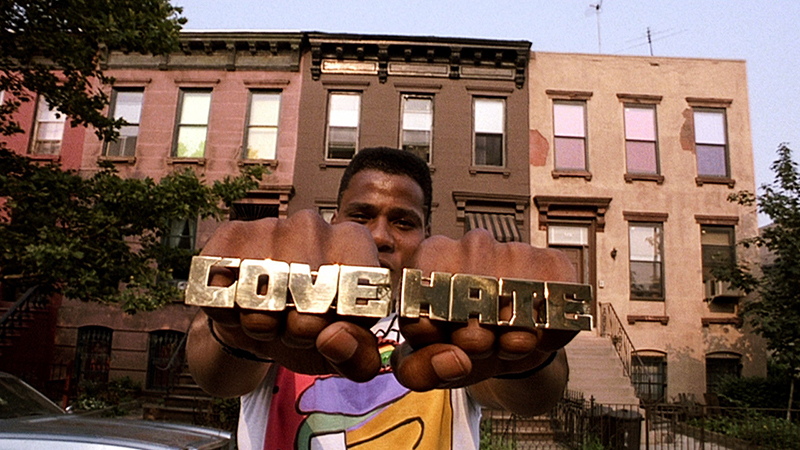 Do the Right Thing (Spike Lee, 1989) Spike Lee’s modern classic, detailing racial tensions and police brutality on the hottest day of summer in Bedford-Stuyvesant, has never been more crucial and relevant. With the sounds of Public Enemy’s “Fight the Power” blasting from boomboxes, this seminal film boasts cinematography from Ernest Dickerson, and an Academy Award-nominated screenplay (not to mention an iconic performance) from Lee; his phenomenal ensemble cast includes Ossie Davis, Danny Aiello, Ruby Dee, Rosie Perez, Joie Lee, Bill Nunn, John Turturro, and Samuel L. Jackson. Selected and guest-hosted by musician, DJ, and curator Abdu Ali. 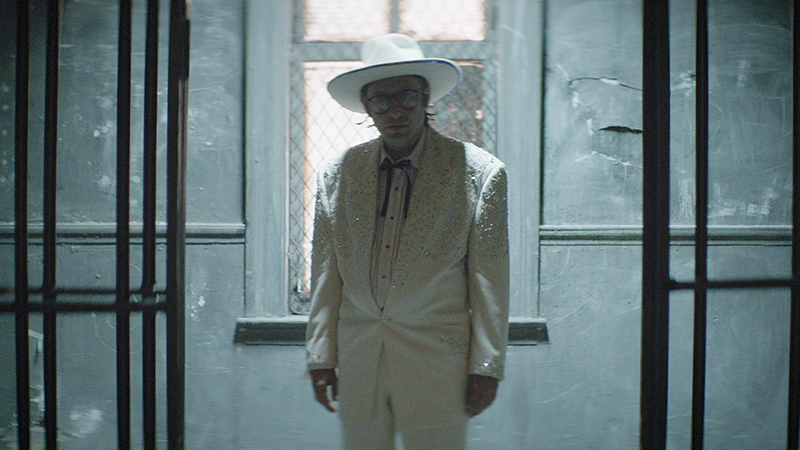 Entertainment (Rick Alverson) Gregg Turkington, perhaps best known for his persona Neil Hamburger, stars as The Comedian, a beleaguered, Hamburger-ian performer who endlessly tours Grade-Z clubs and non-venues across America, shocking and dismaying audiences with his lewd and convoluted punchlines. At turns bleak, poignant, disturbing, and darkly hilarious, this fascinating and beautifully composed provocation from the director of The Comedy also features Amy Seimetz, John C. Reilly, Tye Sheridan, Lotte Verbeek, and Michael Cera. People, Places, Things (Jim Strouse) In this thoughtful and hilarious rom-com, Jemaine Clement of Flight of the Conchords and What We Do in the Shadows stars as a graphic novelist whose comfortable life is shaken after walking in on his wife with another man. Downgraded to a tiny apartment and weekends-only status with his twin daughters, a bright spot appears when a student in a college art course he teaches challenges him to be more social and adventurous. Results (Andrew Bujalski) High-octane personal trainer Kat (Cobie Smulders) works for her friend, fitness guru and entrepreneur Trevor (Guy Pearce)—both of whom have their lives turned upside-down when nouveau-riche couch potato Danny (Kevin Corrigan) arrives at their gym. The director of MFF 2013’s Computer Chess follows up that highly experimental work with something different: a romantic comedy with a stellar cast and a massive heart. Showgirls (Paul Verhoeven, 1995) Intentional camp? Brilliant social commentary? A noble failure? Irredeemable trash? Books have been written exploring what Paul Verhoeven (RoboCop, Starship Troopers, The Fourth Man) was going for with this follow-up to mega-hit Basic Instinct. Starring Elizabeth Berkley, Kyle MacLachlan, and Gina Gershon, this seedy, Vegas-set film was derided upon its release but has lived on as a midnight movie and cult favorite. Selected and guest-hosted by Alan Resnick and Dina Kelberman of Wham City. The Wolfpack (Crystal Moselle) CLOSING NIGHT This extraordinary documentary brings us into the lives of the Angulo brothers, who grew up homeschooled and in extreme isolation from the outside world in a Lower East Side apartment. Home video became their only window into the outside world, and they took to recreating their favorite scenes and styling themselves after films such as Reservoir Dogs. But when one of the brothers escapes the confines of their apartment, all of their lives are forever changed. 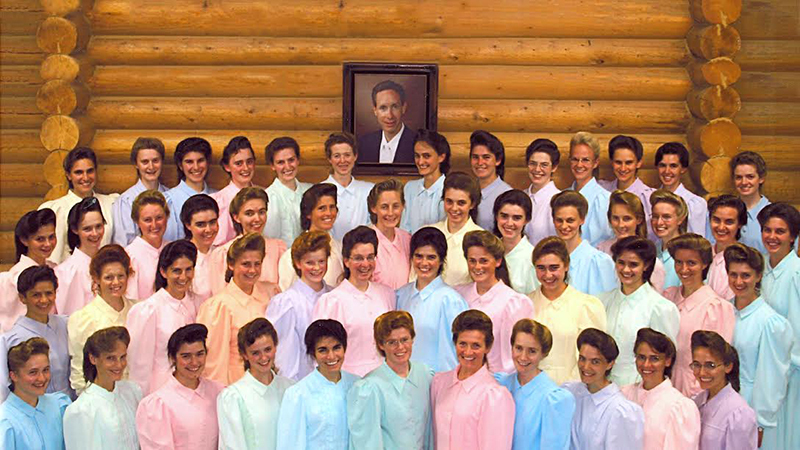 A sensation at Sundance, where it won the U.S. Documentary Grand Jury Prize, this is a documentary that delivers on the buzz, built on amazing access to a truly incredible story and unforgettable characters. HENRY GAMBLE’S BIRTHDAY PARTY (Stephen Cone) World premiere. KILLER JOE (William Friedkin, 2011) Hosted by John Waters. LIMBO (Anna Sofie Hartmann) Hosted by Matthew Porterfield. SON OF THE SHEIK (George Fitzmaurice, 1926) With a live original score by Alloy Orchestra. MFF Unveils Next 10 Titles of 2015 Lineup! Maryland Film Festival continues to unveil the lineup for its 17th annual festival today, which will take place May 6-10, 2015 in downtown Baltimore and include approximately 50 feature films and 12 short-film programs from around the world. Today’s announcement includes the area premieres of 10 more highly anticipated narrative, documentary, and international features, including Charles Poekel’s rich and emotionally resonant character study Christmas, Again; Todd Rohal’s outrageous and explosive psychotronic comedy Uncle Kent 2; and fascinating new documentary work from Bobcat Goldthwait, Amy Berg, and Alex Winter. These new titles join 10 features revealed last week, including the world premiere of Stephen Cone’s vibrant coming-of-age drama Henry Gamble’s Birthday Party, bringing the total of MFF 2015 titles announced so far to twenty. THE AMINA PROFILE (Sophie Deraspe) Two women, Sandra in Montreal and Amina in Syria, meet online, and begin a flirtatious relationship that quickly turns serious. When Amina begins to blog as “A Gay Girl in Damascus,” she garners international attention as an outspoken representative of a marginalized community. 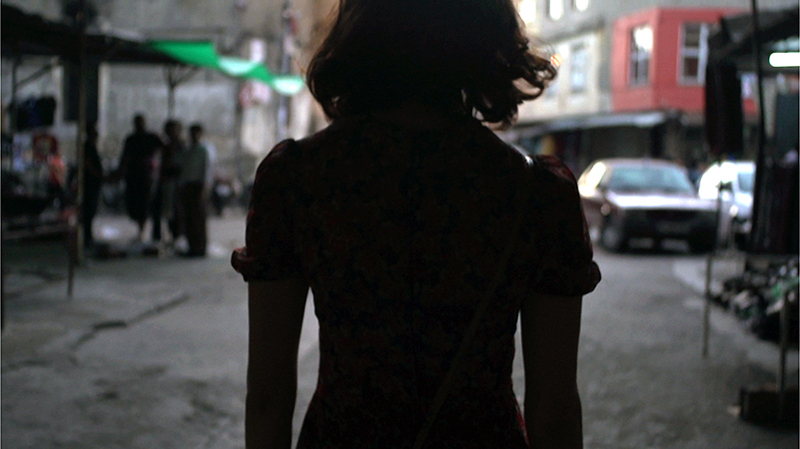 Then Sandra hears that Amina has been kidnapped—and, in this fascinating documentary fueled by mystery, politics, and sexuality, she must examine how much about Amina she truly knows. BEATS OF THE ANTONOV (Hajooj Kuka) War reporter and documentary filmmaker Hajooj Kuka takes viewers into the Blue Nile and Nuba Mountain regions of South Sudan, where we meet displaced South Sudanese who live under the constant threat of bombardment from the Sudanese military via Antonov cargo planes. 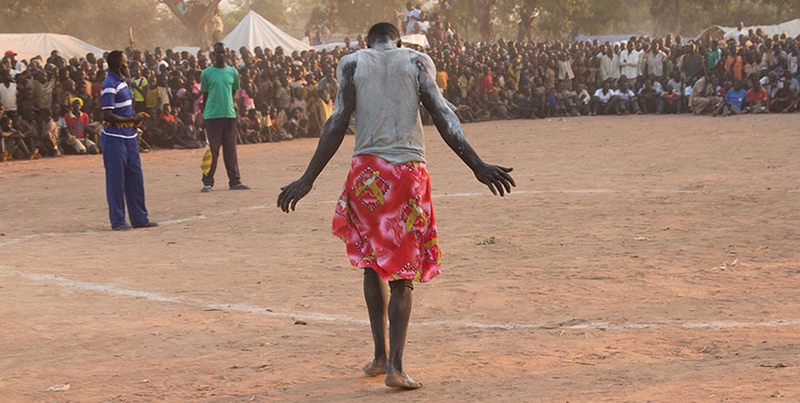 But defying familiar victim narratives, Kuka’s camera finds resilient people that summon strength and positivity from music, laughter, and a determination to maintain their culture against any odds. CALL ME LUCKY (Bobcat Goldthwait) Since the 1980s, Barry Crimmins has established himself as a comedian’s comedian, armed with a rapid-fire technique and a scathing political perspective aimed at shocking American audiences out of their complacency—even as he never quite gets the respect he deserves. 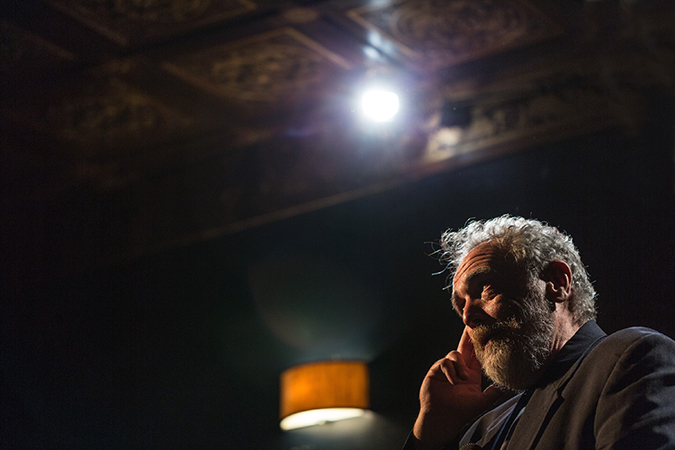 Peers like Margaret Cho and Marc Maron join documentarian Bobcat Goldthwait in paying tribute to Crimmins’ many contributions to the comedy community and political activism over the decades. 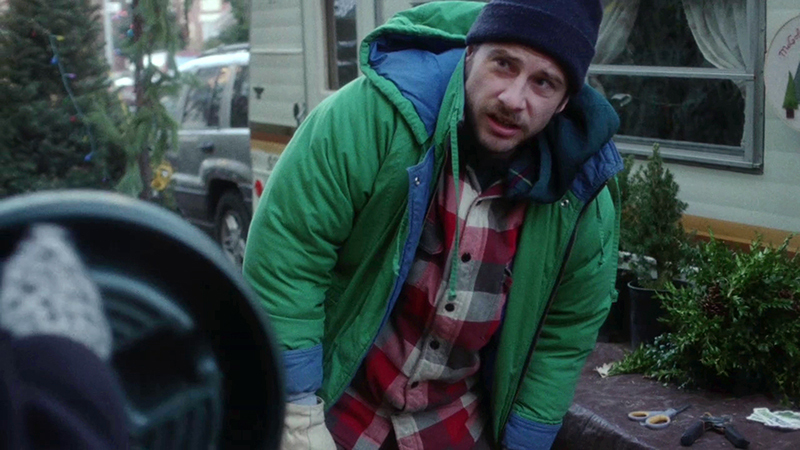 CHRISTMAS, AGAIN (Charles Poekel) Noel (Kentucker Audley) sells Christmas trees off a lot in New York, living a quiet and solitary life in the camper that anchors the site. As Christmas nears, a mysterious woman lands in Noel’s life, and tries to find a way into the closed-off, emotionally blocked world he’s constructed. Beautiful Super 16mm cinematography and unforgettable performances from Audley and Hannah Gross yield a moving character study of quiet, gentle humanism. GOD BLESS THE CHILD (Robert Machoian and Rodrigo Ojeda-Beck) Four brothers spend a day on their own in Davis, California, with their thirteen year-old sister forced to look after them as best she can in the absence of their troubled and unreliable mother. 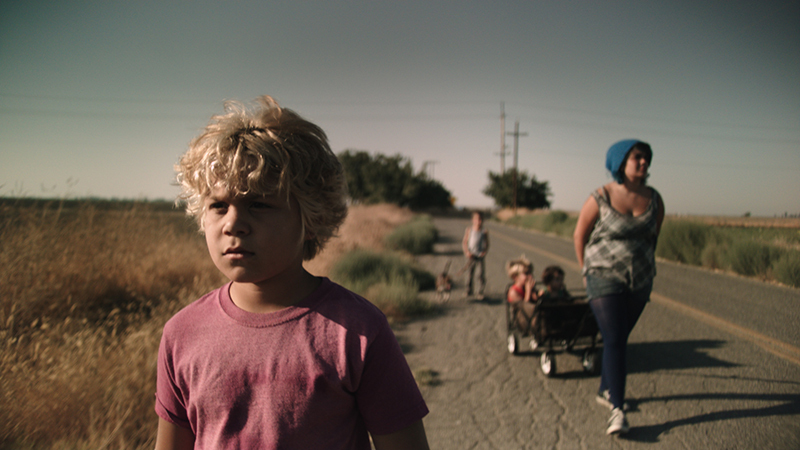 This visually stunning experimental drama, which premiered at SXSW, turns an unflinching eye on the behavior of children in the absence of adults, with results at turns hilarious, awkward, poignant, and unnerving. PROPHET’S PREY (Amy Berg) The director of Deliver Us From Evil and West of Memphis takes us deep into another explosive story, that of the Fundamentalist Church of Jesus Christ of Latter Day Saints. Exploring allegations of sexual abuse, family expulsions, forced marriages, and other horrors, this Sundance-premiered documentary paints an unforgettable portrait of conformity, fear, and oppression. TWO SHOTS FIRED (Martin Rejtman) Veteran Argentine filmmaker Martin Rejtman brings his unique deadpan sensibility to the story of a sixteen-year-old who finds a gun in his house. He shoots himself out of boredom—but, after a near-miss with death, finds that the major change in his life is an annoying whistle in his chest, sabotaging the music he makes with an amateur recorder quartet. A disloyal dog, a strange vacation, and a bizarre cast of characters add up to a quietly anarchic comedy that channels Aki Kaurismäki and Roy Andersson’s A Swedish Love Story as it refuses to play by conventional narrative rules. 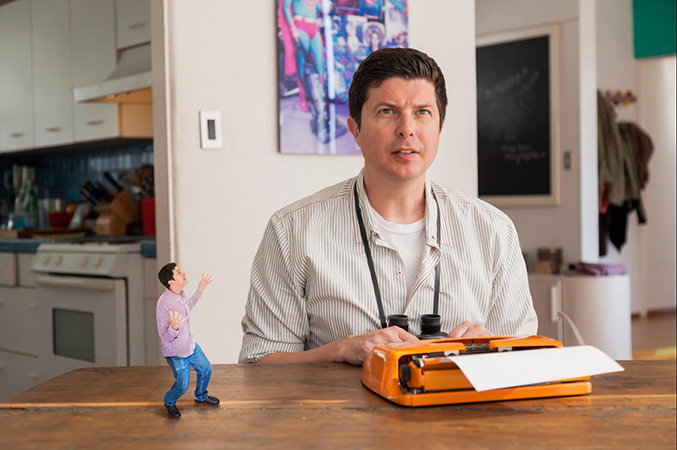 UNCLE KENT 2 (Todd Rohal) Kent Osborne, the mild-mannered animator whose mundane daily routines and love life fueled Joe Swanberg’s Uncle Kent, is desperate to make a sequel—an idea that excites precisely no one else. But when Swanberg gives Osborne his blessing to take the idea elsewhere, things takes a decidedly warped turn, as MFF favorite Todd Rohal takes over at the helm, steering the film deep into the realm of psychotronic dark comedy. 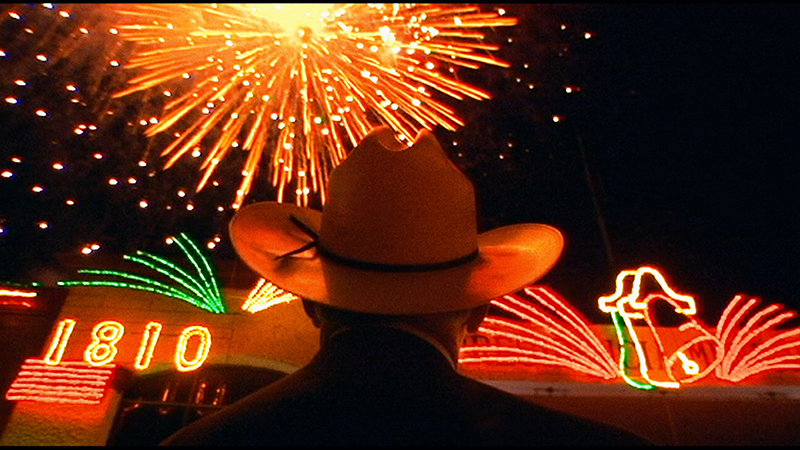 WESTERN (Bill and Turner Ross) In the neighboring towns of Eagle Pass, Texas and Piedras Negras, Mexico, a rugged cattleman and a populist mayor navigate changing times as the specters of cartel violence and xenophobia threaten harmonious cultural and economic exchanges between the U.S. and Mexico. Marked by muggy days and thunderous nights, this evocative and immersive documentary from the directors of 45365 and Tchoupitoulas delivers a thrilling mix of fascinating characters, riveting narrative, and extraordinary sensory detail.